Launching in 2019, Age of Ascent is a truly massive multiplayer game set in Humanity’s near future. 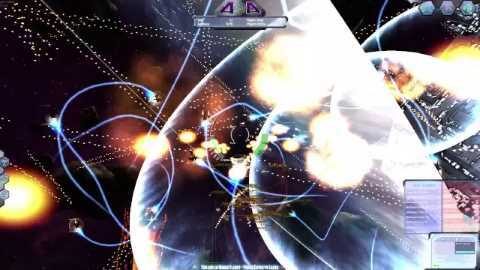 It features direct-piloting realtime combat on an unparalleled scale, an entirely player-driven economy, multi-device support – and it’ll even run in your web browser without plugins or installs! We've been running free public playtests every month or so for the last year, in order to optimise the netcode and combat physics engines. This work is now finished! We're now working on the rest of the game; from the player-driven economy to mission-running and galactic navigation, and will keep you posted on our progess if you sign up to our newsletter. If you want to find out what to expect in PvP combat, please watch the video to your right, recorded last session. If you took part in the last test, please don’t hesitate to give us feedback on your experience. Our playtests are not the full game by any means; we’re just demonstrating and testing the server architecture, networking communications, graphics rendering and testing the essential PvP component to make sure it works for the full MMO game that’s in development. You can find out more about the full game on our about page. So sign up to the newsletter and we'll let you know when the next playtest is finalised! We’ll be posting news and info about AoA over the next few days and weeks. To stay informed, sign up to our newsletter! "Age of Ascent is poised to become something special, one of those games that players will point to years down the road and say, 'Yep, that was the one that changed everything'." Matt McSpirit talks to Technical Fellow Jeffrey Snover about Windows Server 2016, Nano Server and Age of Ascent! 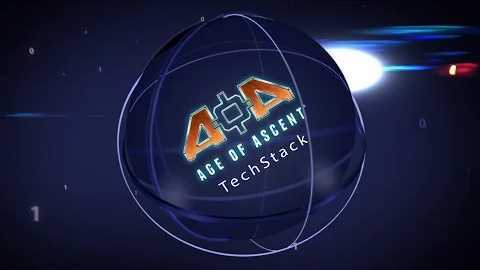 Age of Ascent Build Conference News Roundup!